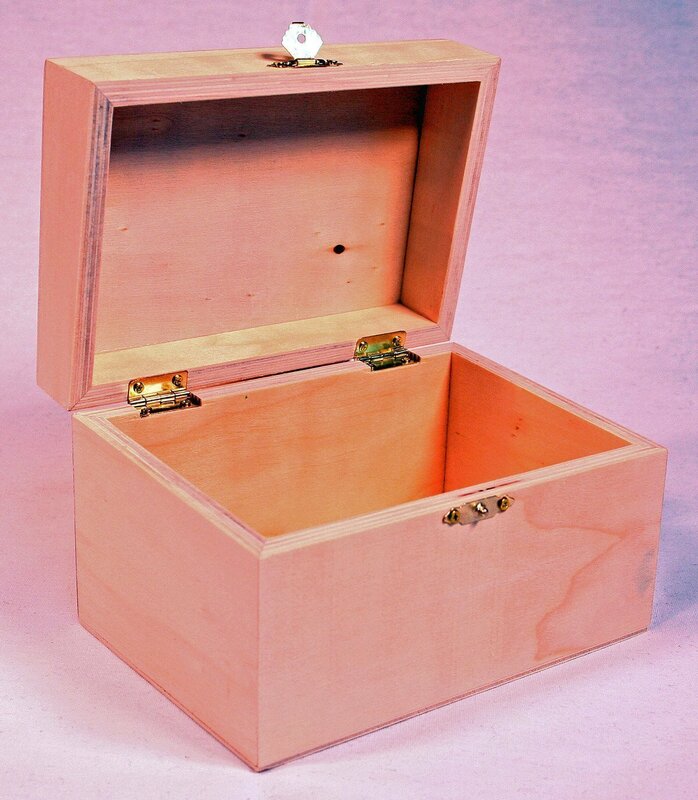 Wooden Recipe Box with Hinged Lid and Front Clasp - 6.75" x 4.5" x 4.25"
Together we can design fun and original recipe boxes for friends and family with these unfinished wooden craft boxes with hinged lid and metal clasp. Each box measures 6.75" x 4.5" x 4.25" and can be decorated with any image, words, or message your heart desires! Use it to hold recipe cards, candy, jewelry, craft items, ribbon, hair accessories and much more! Made in China.